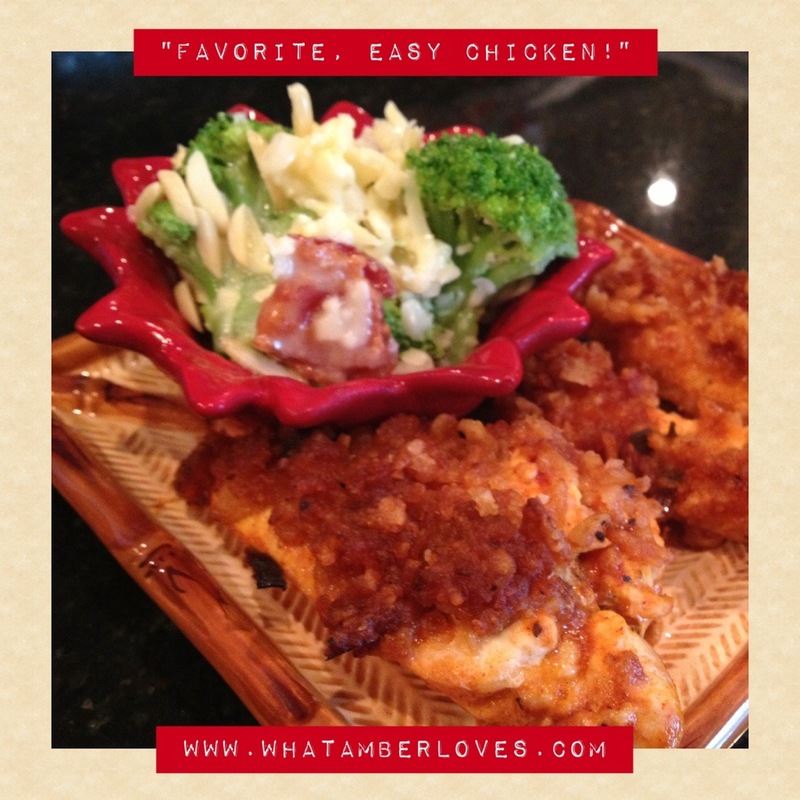 Favorite, easy chicken recipe! Tell me if you’ve tried this and which sauce(s) you use! I’ve seen a similar recipe made using a variety of sauces, including BBQ, Asian sauces, and honey mustard. Well, here’s OUR FAVORITE!! It’s a great sauce just for dipping, too, but coating the chicken tenders completely in the sauce, then rolling in crushed French Fried onions adds great texture! This is such an easy prep, economical, crowd pleasing chicken entree! Try it and tell me what YOU think! Remind me to catch up/create my DIY posts about garden seed saving and the DIY photo ledges we just built! I’ve been taking TONS of photos, so I definitely need to caption and write, now! 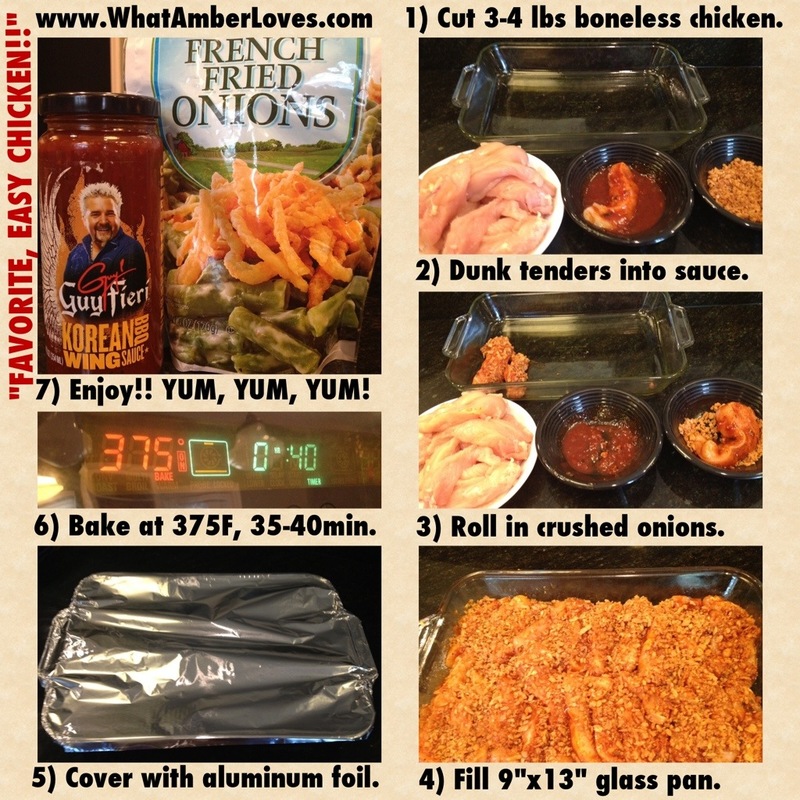 Posted on July 30, 2013, in Uncategorized and tagged Easy Chicken Recipe, French fried onion chicken, WhatAmberLoves. Bookmark the permalink. 1 Comment. Looks yummy and easy to do! !